Every season the CCYR is gifted with the presence of some truly significant and pure Classic Sailing Yachts. Nothing could be more of an honor this year than to have the infamous "Dorade" in our midst for the Corinthian Classic Yacht Regatta presented by Officine Panerai. 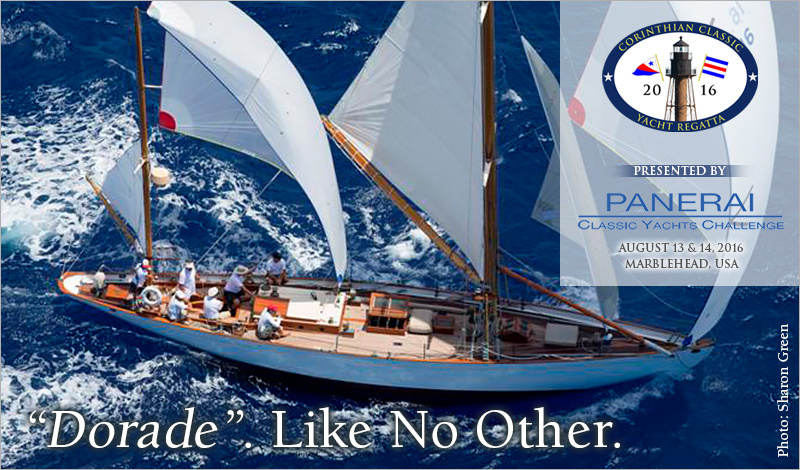 "Dorade" is yachting history. "Dorade" is genius, power, balance, and beauty. "Dorade" is the epitome of a "Classic Yacht". There is no other that comes close to her record. 1947–1979 Participated in fifteen Swiftsure races: First in Class AA 1947–1948, 1951, 1954, and 1964. "Dorade’s" 80-year legend continues to grow and she’ll be with us August 13th and 14th. This is your chance to sail next to a yachting icon. Don’t miss what is a once in a lifetime opportunity. Register for the Corinthian Classic today.